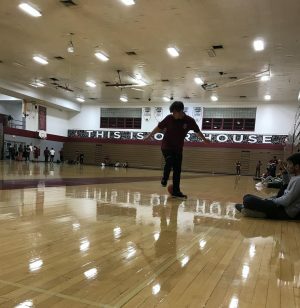 MAKING DUE… Students from night school use a basketball to play soccer. Night school has lacked some of the resources given throughout normal school hours. 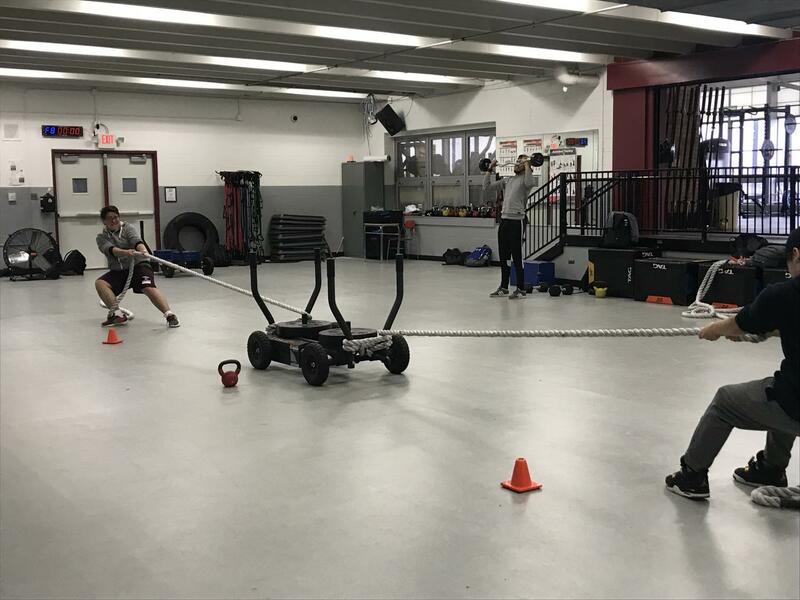 TOUGH IT OUT… Night school students play a quick game of tug a war. 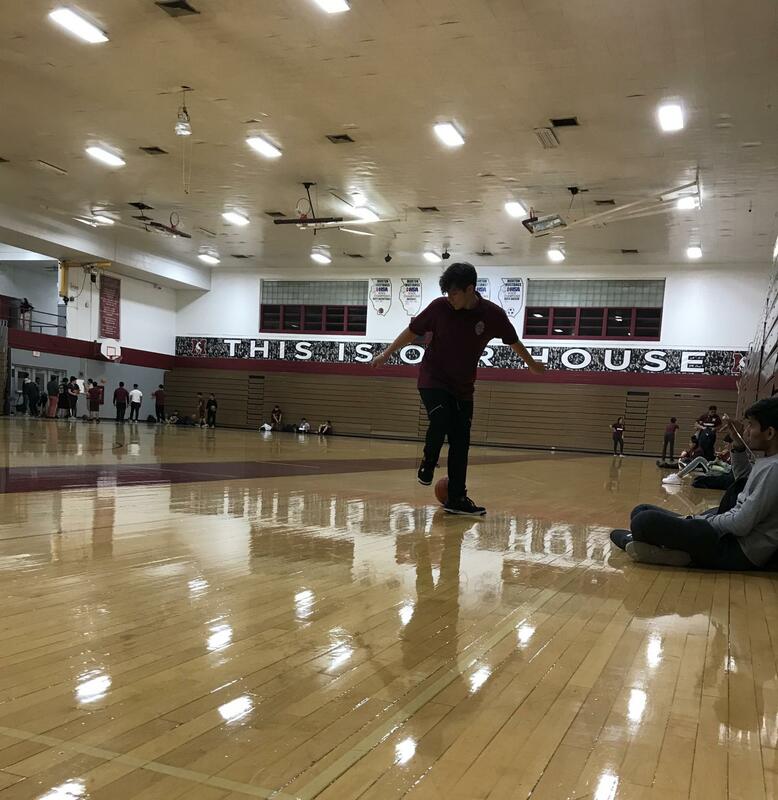 After a game of softball with the class, the students still wanted to expand their energy. LACK OF INTEREST… Students are seen as uninterested. Some are found sleeping, on their phones, or even just trying to hide from the teacher to avoid doing work. CHOOSING TO PARTICIPATE… Girls seen engage in night school activities. Students are told to participate in any type of exercise or activity in order to receive a good grade. MAKING NEW FRIENDS… Boys get together to play a game of one on one. The girls passed on the game and watched from the sidelines. there’s many activities they offer but most of them are lacking of equipment, i think they should get the same equipment as in school hours. They should be consequences for those who try to hide from the teacher and sleep during night school. 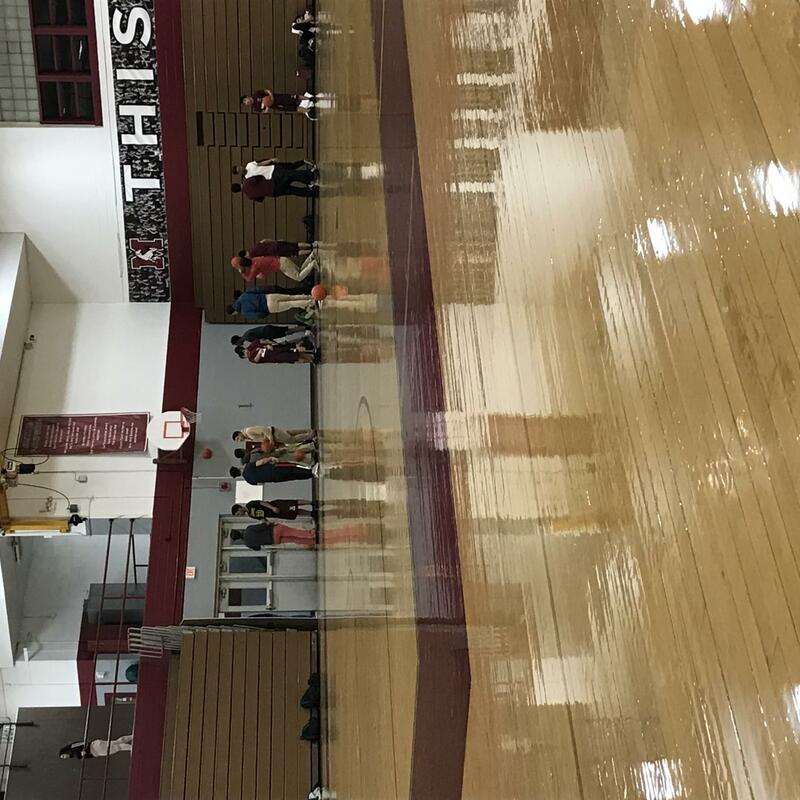 I think this is unfair for the students because students will be interested and participate in the sports if they had all materials needed for the sport. These students as well as regular students should never be missing resources because it effects the way they learn. 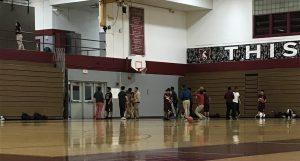 It is highly unfair for the students who are forced to participate in night school gym in that they are not be given the same opportunities as regular students. 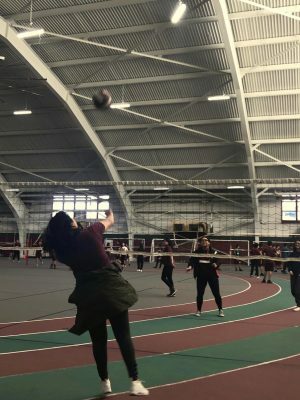 It is obvious that they missed gym for a reason and did not partake in many of the activities, which caused them to fail. Now with attending night school gym, they are never going to be given the same opportunity as other students. It is highly unfair and is just downright not right. Something must change. I don’t get it how students do not appreciate the second chance that they are getting to pass the class if they failed it the first time. I think there should be some serious consequences for those who don’t do anything or are sleeping in the class. I think it’s great students get a second chance to succeed.Not all schools offer a night school program. I think its really disappointing to hear that some students don’t take advantage of what the school has to offer and they just drop out. We as students should be grateful for getting new opportunities to get back on the right track to graduation. If night school students want more resources to play with I think that at the end they should help clean up and put them away. Do they already do that? I’m not sure but that’s one way to have more fun. For students who don’t play, hide, or sleep they should have a big consequence since that’s probably the main reason they’re there for. its disappointing to know that they dont even give students the right equipment to play a sport. thats just gonna lead more kids to lay around and not participate. 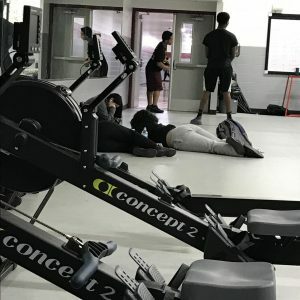 in order to get students more involved they should give more options and give them the correct equipment, i feel like they also need to get more strict with the kids that just go and do whatever they want instead of making up for what they failed.. I think this is unfair for the students because students don’t get the same materials to play the sports they what to play. 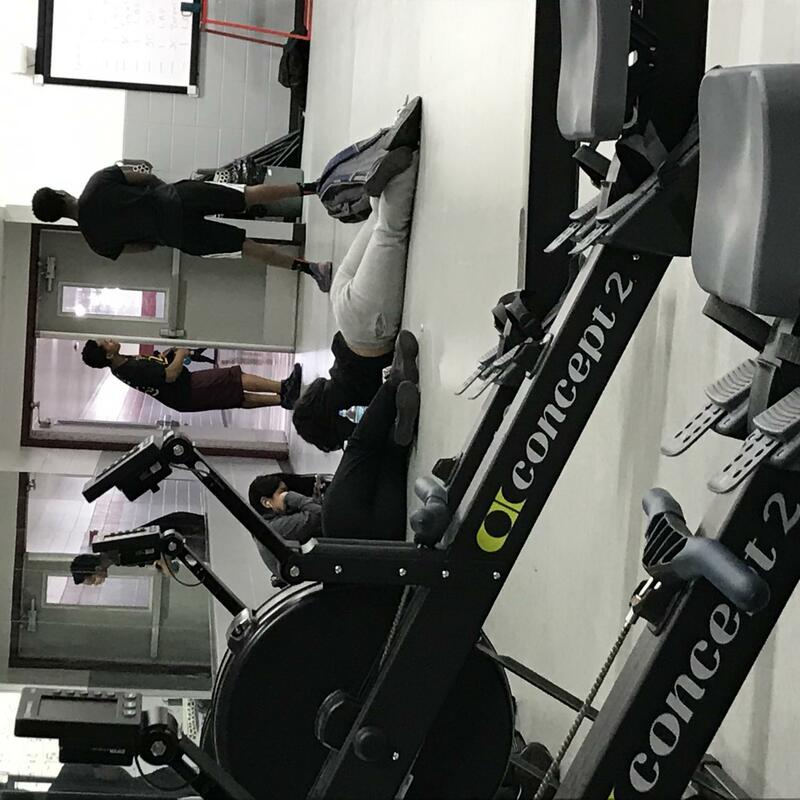 Some student choose or was force to go to night school gym. they at least should have better equipment. 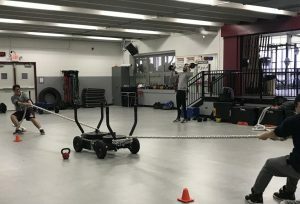 I think that it is great that the night school gym class are doing there best with the limited resources that they have.